Masarap kainin itong PUTO BUNGBONG lalo na nung pasko pag katapos ng simbang gabi, pero ngayon all year round na ang lutuan at bilihan nito sa mga kanto kanto, pampatid gutom rin. At tamang tama itong kulay nya para sa tema sa LITRATONG PINOY. 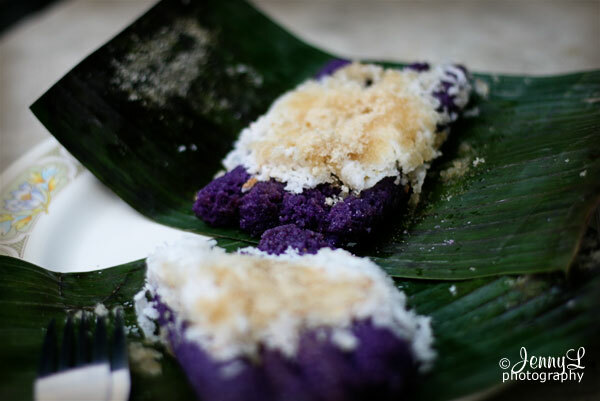 This Puto Bunbong is so delicious to eat esp. during Christmas time and after the Simbang Gabi. It's already availabel all year round and you can buy it almost at every corner. This is a perfect entry for Litratong Pinoy for the theme VIOLET. Oh hayan, kakapitas pa lang yan sa puno kaya kinunan ko na agad hehe.Di ba ang sarap ng ponkan lalo't ito'y matamis? Mas gugustuhin ko pa ito minsan kesa sa dalandan e.
Meron pa kong lahok tignan nyo ang kakalabasan nitong ponkan pag na process na. DITO. What a Sad Day !!! Geezz.....A Bad Day for me and could not believe it happened what a bad day, wish it didn't happened. Complete Story HERE. Yay FINALLY, got the time to upload all the photos I took each day for the Photo a Day (Project 365). I became so busy lately that I never had time to do it but now you can view it. I hoep I can keep up with this project. For those of you who are wondering what is Project 365, it's actually your task to take photos each day to document the things that happens in your life. I have many co scrappers who are into it so I thought it;s a great opportunity for me to hone my shooting skills by taking photographs each day. 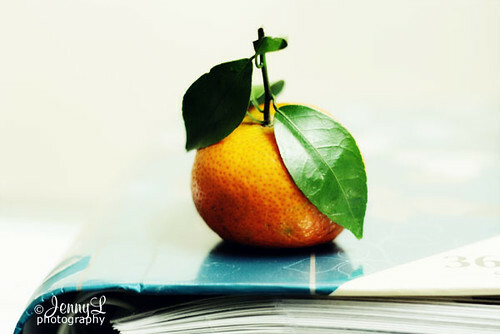 I have uploaded it at my Flickr account and you can view it HERE. I reckon you're already thinking what keeps me busy these days because I have not been blogging much. 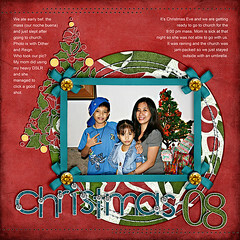 My mojo is finally back since December and right now, I am busy digital scrapbooking. I have finished one 8x8 (20 pages -actually 22 LO's) Photobook for myself and have printed it already at ARTSCOW last Sunday and I am so excited already to receive it. I hope my photobook will turn out great. I got my inspiration from my co-scrappers Aggie and Diane. Right now, I have started another photobook, much simpler than a scrapped layout, this time it;s a magazine style where there are no elements or papers used. I am making one for my niece and with my mojo flowing, i hope I can finish it this month so I can make another one. Yay, that is eating my time but it's ok bec. I am very productive. Here's a sample of my layout for my photobook which is currently on printing.. Click image for a bigger view and for more layouts and credits. I was scheduled to go to Robinson's Galleria to watch a movie with my niece so I decided to text Jen V. (also a blogger) if she can meet me there. Actually, the reason why I wanted to meet her is that my sis JOYd in Sydney sent a lil' present for her. We were suppose to meet before Christmas but she was not available that time so Jen V and I just met last Jan. 3, 2008. It was just a short and brief meeting but it was a pleasant one. I just gave her the gift and chat for a while. It's always fun to meet co-blogger in person from time to time. Look we are both in red shirt hehe. Nice meeting you Jen! Fruits in our table. It is believed that it'll bring good luck to leave 12 diff. kinds on New Years eve and luckily I was able to buy 12. I didn't buy a watermelon anymore bec. it was so expensive that time, a small pc. can cost P50 yay. Here are the foods that we ate, actually we are so full that there are many left overs. After 12 midnight, the bad thing is that we had a BLACKOUT in our town so it was really hard to eat with only candles on the table. Very 1st time that it happened. The kids are havin' fun while seeing all the fireworks, they also lighted some sparklers. It was also raining at that time so it was a bit uncomfortable. Did my best to make this photo clear bec. it was BLACKOUT when we took this. It's our tradition to also were all RED for goodluck. Hello everyone, HAPPY HAPPY NEW YEAR!! It's the 1st day of the year and there are many things that happened during the holidays. I was so lazy blogging but right now it is slowly going back.